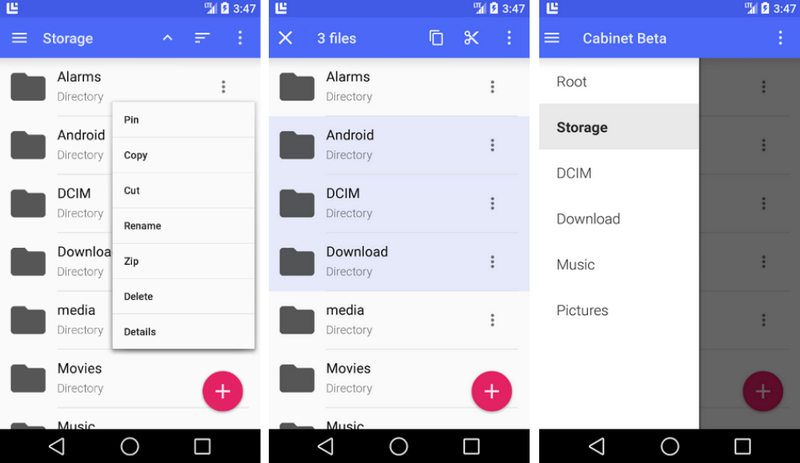 For those looking to continue the outfitting of their phones with more Material Design aesthetics, a file manager by the name of Cabinet Beta should be the perfect fit on your device. As for what is special about Cabinet, the fact that it features Material Design is a main selling feature, with its well laid out UI and easily navigable drawers for searching. But to top off its features, Cabinet also supports root access, as well as remote server access via SFTP. As hinted by its name, the app is still in Beta, so feel free to request access to join the beta group on Google+. If accepted, you can help the developer find and squash bugs like a true champion. To make things even better, Cabinet is free to download via Google Play, so go try it out.